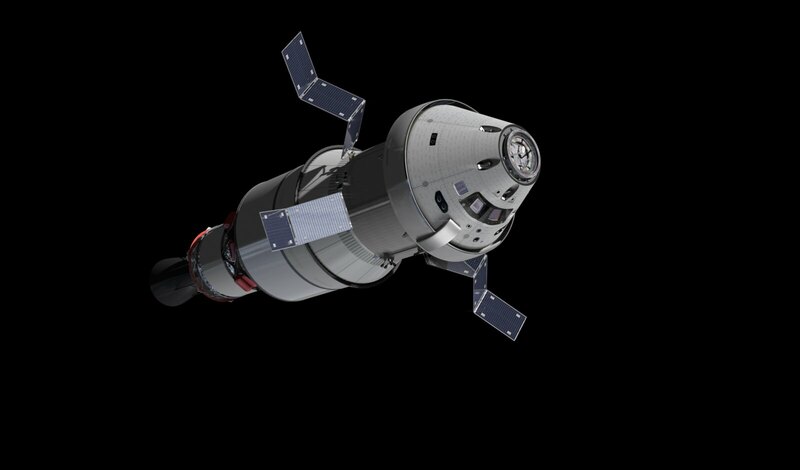 The first European Service Module and Orion’s crew module adapter will never be apart again. After weeks of intense work, including extended shifts over the weekend, the two spacecraft components are now united for their journey to the Moon. Technicians made the two parts one in the Neil Armstrong Operations & Checkout building at Kennedy Space Center in Florida, US. Exactly 192 bolts are now in place to keep the structure together and withstand the great forces of launch and spaceflight. Aligning the elements was a slow but necessary process. The platforms were shifted at a rate of up to several centimetres per hour to ensure perfect connections from the start. “The service module, now one single piece, moved to the clean room yesterday to begin welding the pipes for the fluids such as water and fuel,” says Dominique Siruguet, ESA campaign manager at Kennedy Space Center. Once the service module is out of the clean room, power and data between the European Service Module and the crew module adapter will be connected. These connections should be completed before Christmas. 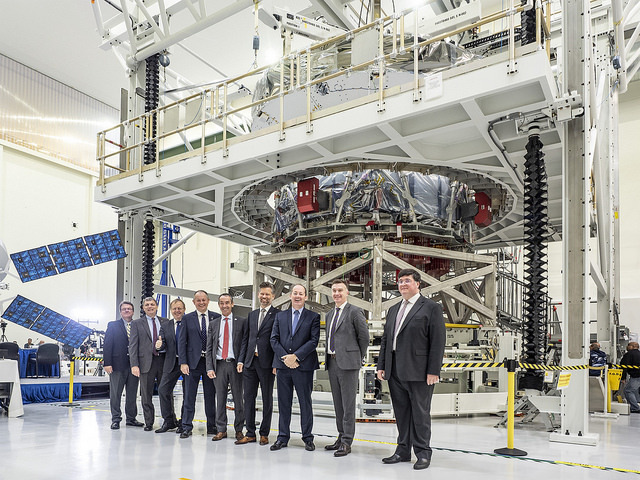 The European Service Module will be powered on during the second half of January, 2019. 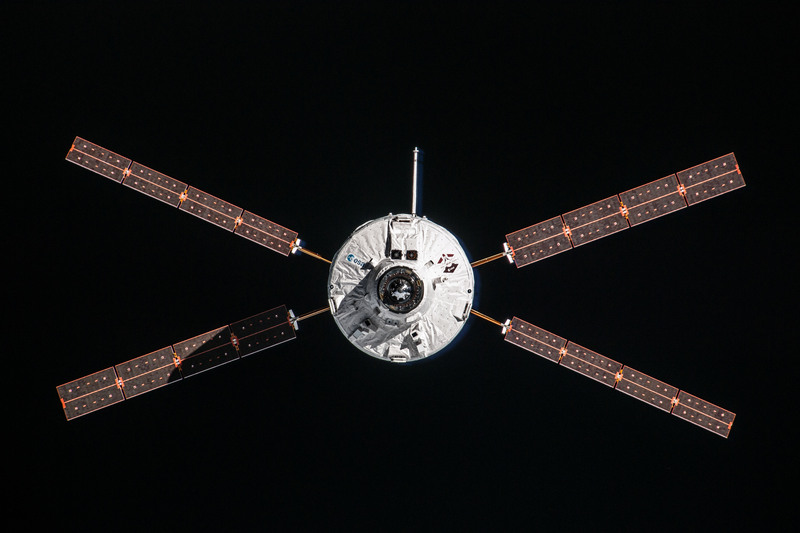 The crew module will then be mated with the service module and the completely integrated spacecraft will head to NASA Glenn Research Center’s Plum Brook Station in Ohio for a 60-day test campaign. 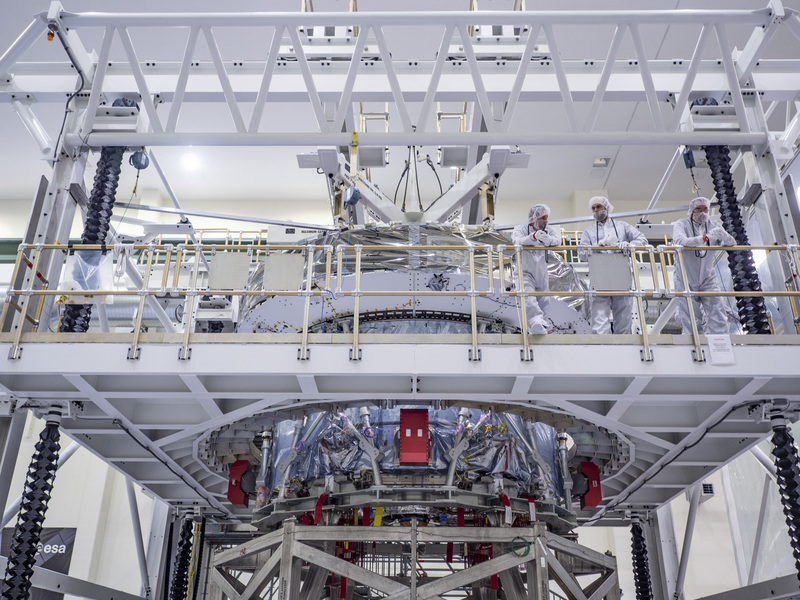 The entire spacecraft will be subjected to intense launch conditions in the world’s largest vacuum chamber. 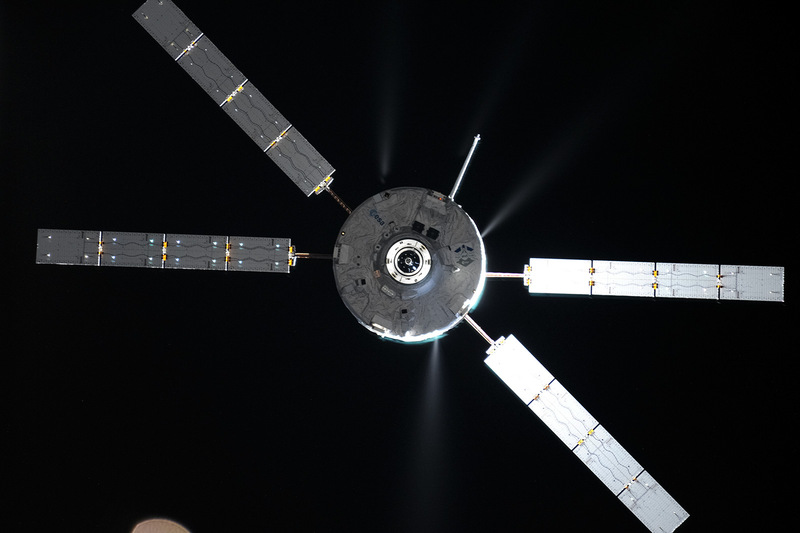 These preparations will lead to Exploration Mission-1 – a test flight without astronauts that will travel farther into space than any human-rated spacecraft has ventured. The mission is expected to launch in 2020.